Why did the World's Largest Prairie Chicken (Rothsay MN) cross the Mississippi River? It's an age-old question. Find your own reason on the banks of the mighty river at the 2014 American Association for State and Local History Annual Meeting in St. Paul MN, September 17-20, 2014. Session Proposals are due November 15, 2013. Showcase your skills and professional knowledge to a national audience! The conference will be held in the Crowne Plaza at Kellogg & Wabasha, which, if you look closely under the Smith Avenue High Bridge, is straight ahead under the highest part of the arch. Watch for more of the state's Larger Than Life Residents to visit St. Paul preparing us all for our national colleagues to arrive next year. Check out the attendance (including 23 from Minnesota) who will be at this year's conference next week in Birmingham, AL. The unsupported rails had sagged and deformed over time and the locomotive had sunk into the ground and had begun to list. The rail section extending in front of the locomotive was bent and thrusted upward. The ties and track beneath the 1907 steam locomotive, vintage ore cars, and caboose were dug out and replaced with new track panels after replacing the unstable earth with compacted ballast. Possible arson badly damaged the historic Eagan Town Hall, set to celebrate 100 years in 2014. Local history mourns the passing of David Nystuen, the face of Minnesota's field services 1972-2000. Students update exhibits at Lac qui Parle Mission site. 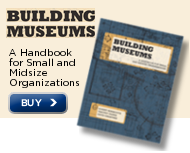 A discussion on ways to land a museum job. New comedy web series for historical interpreters leads to interesting discussions. History Center of Olmsted County, Rochester MN, seeks temporary Collection Assistant. Deadline: September 16, 2013. Minnesota State Arts Board, St. Paul MN, seeks Director, Communications and Government Relations. Deadline: September 23, 2013. The Arts & Science Center for Southeast Arkansas, Pine Bluff AR, seeks experienced Office Manager. Deadline: September 27, 2013. The Arts & Science Center for Southeast Arkansas, Pine Bluff AR, seeks Education Coordinator. Deadline: October 4, 2013. University of Minnesota Libraries, Minneapolis MN, seeks Digital Preservation Analyst. Position open until filled. Castlerock Museum, Alma WI, seeks Manager and Executive Director. Carlton County Historical Society, Cloquet MN, hosts Father Justin Fish, Queen of Peace Catholic Church, Cloquet, for a program about the use of the color white in the Roman Catholic tradition, Friday September 13, 2013, noon. This program is in conjunction with the "Dressed in White" exhibit. Call 218-879-1938 for more information. Paul Bunyanland Historical and Cultural Society, Brainerd MN, will host a history gathering at Ruttger's Bay Lake Lodge, Deerwood MN, Saturday September 14, 2013, 2:30-5 p.m. in the Ruby Room. Come hear about local history in the Brainerd Lakes and Crosby areas. Email to check seating availability. Blue Earth County Historical Society, Mankato MN, announces the 2013-2014 Young Historians program for school age children. These hands-on history workshops take place the second Saturday of each month during the school year. September's workshop, Native American History and Culture, will be held Saturday September 14, 2013, 10 a.m. to noon at the historical society. Contact Heather, 507-345-5566, for more information. Washington County Historical Society, Stillwater MN, announces that executive director Brent Peterson will sign copies of his latest book, "Images of America: Stillwater," at the Warden's House Museum, Sunday September 15, 2013, 2 p.m. Contact Sean Pallas, 651-439-5956, for more information. Blue Earth County Historical Society, Mankato MN, hosts Ron Schirmer at the next Fingerprints and Footnotes Club meeting, Tuesday September 17, 2013, 6 p.m. Celebrate Archaeology Week! Contact Shelley Harrison, 507-345-5566, for more information. Washington County Historical Society, Stillwater MN, announces that Judge Jack Tunheim will be the featured speaker at their annual meeting, Thursday September 19, 2013, Water Street Inn, Stillwater. Tickets $20/members; $25/nonmembers. The evening begins at 5:30 p.m. with social hour; the program begins at 8 p.m. Reservations required; call 651-439-5956. Ramsey County Library-Roseville will host a series of programs on World War II this fall. The first program in the series will be a book discussion led by Professor Paul Solon of Macalester College on "With the Old Breed at Peleliu and Okinawa" by E.B. Sledge, September 19, 2013, 7 p.m. Call 651-724-6022 for more information. Scott County Historical Society, Shakopee MN, announces the Amazing New Prague History Race, Sunday September 21, 2013, downtown New Prague. Presented in partnership with the Dozinky Festival. Call 952-445-0378 for more information. Germanic Genealogy Society of Minnesota will meet Saturday September 21, 2013, 8 a.m. to noon, at the Minnesota Genealogical Society, South St. Paul MN. Cost: $10. Call Kent, 612-920-8118, for more information. Hennepin History Museum, Minneapolis MN, invites the public to an opening reception for their new exhibit "Elaine's Buffet of Life--a Look at the Life and Work of Hennepin County Artist Elaine Jacobs Yablonsky," Saturday September 21, 2013, 6 p.m. HHM also hosts a Fireside Chat on this topic, Sunday September 29, 2013, 2 p.m. Call 612-870-1329 for more information. Ramsey County Library-White Bear Lake hosts a talk on the Johnson Boat Works Story, Monday September 23, 2013, 6 p.m. Call 651-724-6022 for more information. Winona County Historical Society, Winona MN, will open a special area for military families in the Youth Services Department called "Connecting Military Families," September 24, 2013; reception from 4-6 p.m. There are two elements of this program: record and send messages to troops, or browse the military resource area. Call 507-452-4592 for more information. Wright County Historical Society, Buffalo MN, hosts the next Coffee Chat on September 24, 2013, 1:30-3 p.m. Come discuss canning and preserves, past and present. Call 763-682-7323 for more information. Scott County Historical Society, Shakopee MN, announces the opening of "Storied Treasures" with a reception on Thursday September 26, 2013, 6:30-8 p.m. Featured speaker will be storyteller Richard Rousseau. Call 952-445-0378 for more information. Author Annette Kolodny will lecture on "Who Really Got Here First? Vikings, Indians, and Everything Else," Thursday September 26, 2013, 7:30 p.m., Weisman Art Museum, Minneapolis. Contact Terri Sutton, 612-626-1528, for more information. Glensheen Mansion, Duluth MN, hosts a lively Ted Talk-styled event series, "Chester Chats," following in Chester Congdon's spirit of public service. The first talk will be on "Public Service," Thursday September 26, 2013, 7 p.m. Free. Call 218-726-8910 for more information. Denmark Township Historical Society, Hastings MN, hosts a celebration honoring their donors, Sunday September 29, 2013, 1-4 p.m., Carpenter Nature Center. Contact Wayne Boyd, 651-436-8031, or Mavis and Bob Voigt, 612-823-4934, for more information. White Bear Lake Area Historical Society, White Bear Lake MN, hosts the White Bear Area Historic House Tour, Sunday September 29, 2013, noon to 6 p.m. Tour 10 fabulous sites on and around White Bear Lake. Advance tickets: $25/nonmembers; $20 WBLAHS members. Call 651-407-5327 to purchase. Governor's Civil War Commemoration Task Force and Anoka County Historical Society host a Civil War Sesquicentennial event celebrating the Battle of Chickamauga (GA), fought on September 18-20, 1863. Location: Woodbury Park, St. Francis MN, Sunday September 29, 2013, 2 p.m. Call 763-421-0600 for more information. Blue Earth County Historical Society, Mankato MN, presents the Historic South Front Street Pub Crawl, Friday October 4, 2013, 6 p.m. Cost: $15/BECHS members; $20/nonmembers. Space is limited; call 507-345-5566 to purchase tickets. St. Paul Public Library invites the public to their True Crime series, beginning with "The Minnesota Road Guide to Gangster Hot Spots," October 5, 2013, 2-4 p.m., Sun Ray Library. Scott County Historical Society, Shakopee MN, will hold its Annual Meeting on Thursday October 10, 2013, 6-8 p.m. Guest speaker will be Neal Karlen, author of "Augie's Secrets." Open to the public; $4/adults; $2/children; free for SCHS members. call 952-445-0378 for more information. Minnesota Digital Library offers a free webinar "The Minnesota Digital Library, Minnesota Reflections, and Digitizing Your Collections," Tuesday September 17, 2013, 10-11:30 a.m. Register online. Northeast Document Conservation Center (NEDCC) offers a live webinar, "Beginner's Guide to Photograph Preservation," September 25, 2013, 12:30-1:30 p.m. ET. Cost: $45; registration deadline September 24, 2013. Campbell Center, Mt. Carroll IL, offers "Historical House Museums: Maintenance and Energy Efficiency Workshop" with Bob Yapp, October 3-5, 2013. Cost: $900. Register online. Minnesota Genealogical Society holds the 6th Annual North Star Family History Conference, October 4-5, 2013, Colonial Church, Edina MN. Register online. Register now for the 2013 Iowa Museum Association Annual Meeting and Conference, October 6-8, 2013, Sioux City IA. Deadline: September 28, 2013. The 1914 Town Hall, headquarters of the Eagan Historical Society, Eagan MN, was badly damaged by fire early Sunday morning, September 8, 2013. Eagan Fire Department officials suspect that this fire was a result of arson, and request that anyone with information call the Arson Hotline, 800-723-2020. 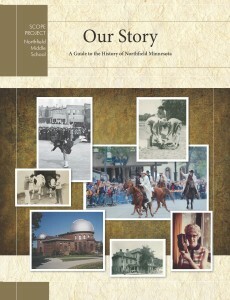 Northfield Historical Society, Northfield MN, announces the release of "Our Story: A Guide to the History of Northfield, Minnesota," written by eighth graders at Northfield Middle School. The book traces Northfield's history from early geology to the present day. Attend the book release party, September 19, 2013; 7 p.m. Call NHS, 507-645-9268, for more information. Washington County Historical Society, Stillwater MN, announces their two-day book sale, October 5-6, 2013, noon to 4 p.m. at the Hay Lake School Museum, Scandia MN. Donations of books, magazines, maps, journals, and movies will be accepted throughout September; call David, 651-433-4014, for more information. St. Louis County Historical Society, Duluth MN, announces an opening on its Board of Governors. Interested parties should contact Nominating and Governance Committee Chair Jim Schwarzbauer, 218-624-0187, or Executive Director JoAnne Coombe, 218-733-7581 for more information. Minnesota Historical Society announces that the Revised Second Edition of "Northern Lights: The Stories of Minnesota's Past" is available now. Contact Matt Horstman, 651-259-3435, for more information. Association of Registrars and Collections Specialists (ARCS) announces the launch of its new website. Several county and local historical organizations met in New London MN on September 9, 2013 to help the Monongalia Historical Society inventory and pack their collections in preparation for a move to a new facility. Special thanks to Kandiyohi County Historical Society, Willmar MN, Lac qui Parle County Museum/Historical Society, Madison MN, and Stearns History Museum, St. Cloud MN, who joined Minnesota Historical Society's Local History Services staff to lend support to the New London history and arts community. Secret Partners, by Timothy Mahoney.